Life is good…and it’s hard! Experiencing the very best version of life requires a focused, intentional effort. What we choose to ‘think on’ shapes who we become. When we choose to approach life from a positive perspective, our experience of life can be radically impacted -for the better. What we think matters! And it matters a lot. 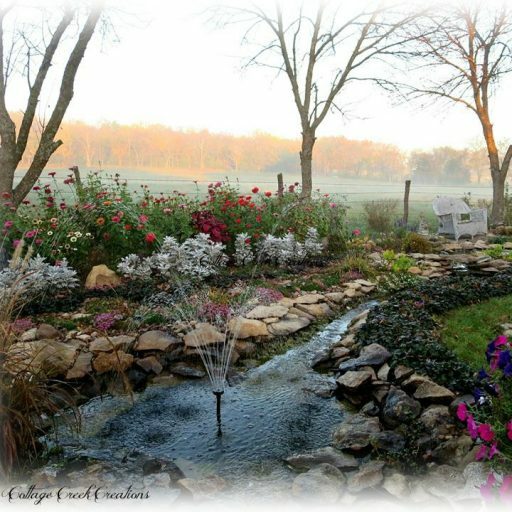 Cottage Creek Life blogsite was born from my own deep desire to keep my thoughts focused and my life centered. Putting pen to paper has always helped bring into sharp focus the lessons that experiences teach. Taking the time to process those observations, through writing, helps me hold on to the concepts that are worth keeping. I would love to think that by sharing some of the ideas that help steady me, someone else might also find encouragement and inspiration. Several years ago, I found myself struggling to stay in a centered mindset. My heart yearned for a physical place of retreat, where I could step out of life’s chaos, in order to more easily tap into the tranquil, divine Wisdom that can be found in Stillness. From that inner longing sprang a dream that ultimately grew into a beautiful reality. The creation of Cottage Creek taught me incredible life lessons about the value of listening to the deep stirrings of the heart, courageously pursuing a dream, while riding on the wings of belief. It was an amazing, empowering time, filled with evidence of God’s loving and guiding hand along every step of the way. You can read about it here: The Story of Cottage Creek. Little did I know, during that time of intense light, the darkest period of my life was brewing. A life-threatening health crisis was positioned to shatter my world. You can read about it here: Through the Valley The frightening journey through that time, along with the resulting aftermath of incredible loss, served to be a proving ground for the lessons that the experience of creating Cottage Creek had taught me. Cottage Creek represents much more than a pretty little place, on a placid landscape, where one can go to retreat from life. It symbolizes the pursuance of a dream via whole-hearted belief, and it is the evidence of Love’s compassionate response to a heart’s truest desire. It represents my quest for Stillness, and it serves as a reminder that the holy Presence, from which unfathomable peace emanates, is ever present…no matter the place or time. I like to think of this mindset as ‘ A Cottage Creek Life’, but no matter what you might come to call your own version of living at the Center, it is attainable…regardless of physical location or circumstance. It is about living simply, with intention, passion, and purpose -freeing your truest, highest self to live your very best life. Life is good…and it is hard. Above all, it is a sacred journey. As always, any journey is best when traveled with a friend, and I would love to share this journey with you! 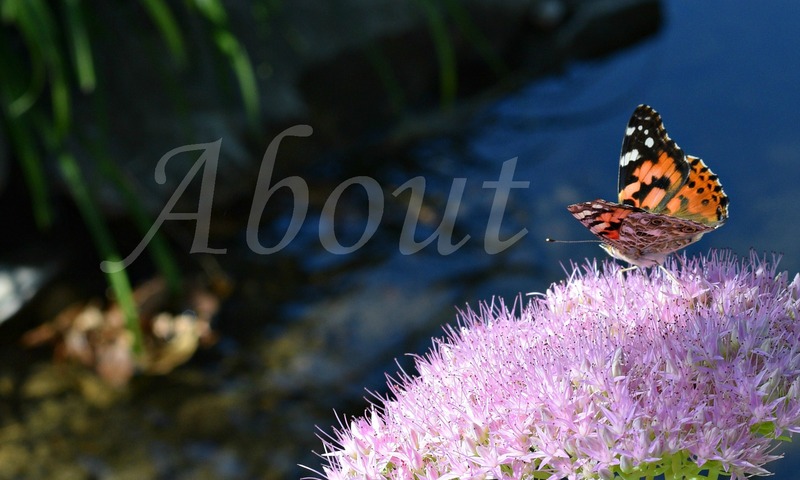 Photo Galleries that include inspirational quotes over beautiful images that were taken in and around Cottage Creek…and more! You will also find random posts, sprinkled throughout, around other interests, including: articles on nostalgia, gardening and DIY projects. Coming soon will be additions around original poetry, original music and children’s stories. All of those things make me happy, and of course, I like to share my “happy” with others! True to LIFE itself, A Cottage Creek Life is ever evolving, and I hope you will decide to take my hand and embark on this continued journey with me. Please subscribe with your email so that you will not miss anything new! My intention is to post an inspiration once every week or two. I promise not to be a pest and overfill your inbox! To explore this site, start HERE. Thank you for stopping by. I hope to see you again, real soon!